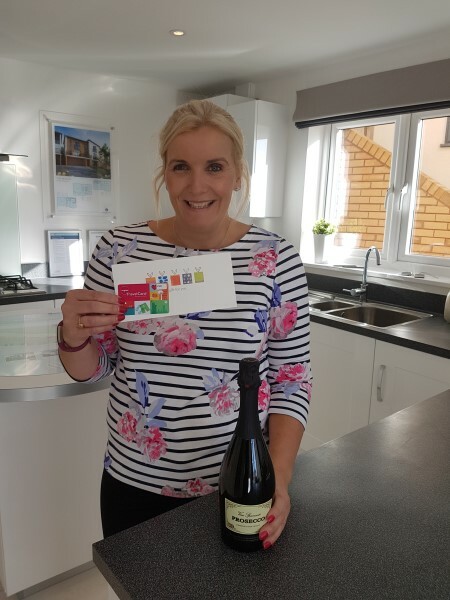 Christina Addyman could never have guessed that a spur of the moment decision to visit Bovis Homes' Marine Drive location in Teignmouth would lead to a holiday for her and her family - but that is exactly what happened! Christina and her sons Tom (14) and Alex (12) were taking a tour of the show homes at Marine Drive, and while there entered the house builder's Holiday Heat Wave prize draw. A few weeks later, the family were stunned to discover that they had won the South West prize and had secured a £500 holiday voucher. "I was so shocked!" says Christina, who lives in Dawlish with her sons and partner, Marcus. "I had heard a lot about the homes, so we decided to take a look around as we are thinking about moving to Teignmouth. While we were there the sales advisor, Theresa, asked if we would like to enter the competition and I thought 'why not?' - I never dreamt that we would win!" 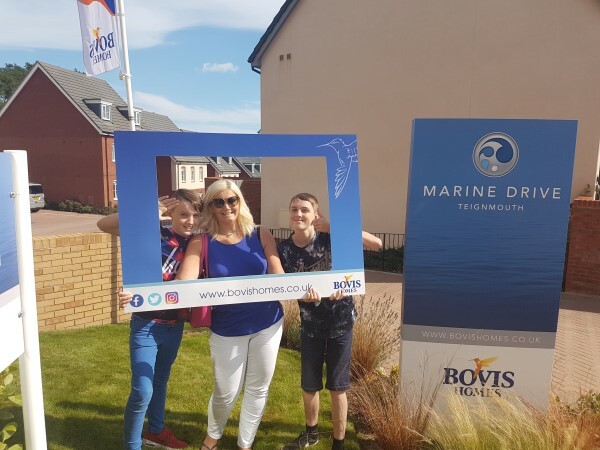 The Heat Wave prize draw took place at Bovis Homes' sales centres across the country and involved visitors taking a photo with the holiday selfie frame. Christina's photo was picked out ahead of all the South West entries. "I'm still undecided how we will spend the voucher," says Christina. "We go to Spain every year, so we may use it as part of that, or we may have a holiday in this country somewhere. It was a lovely surprise!"